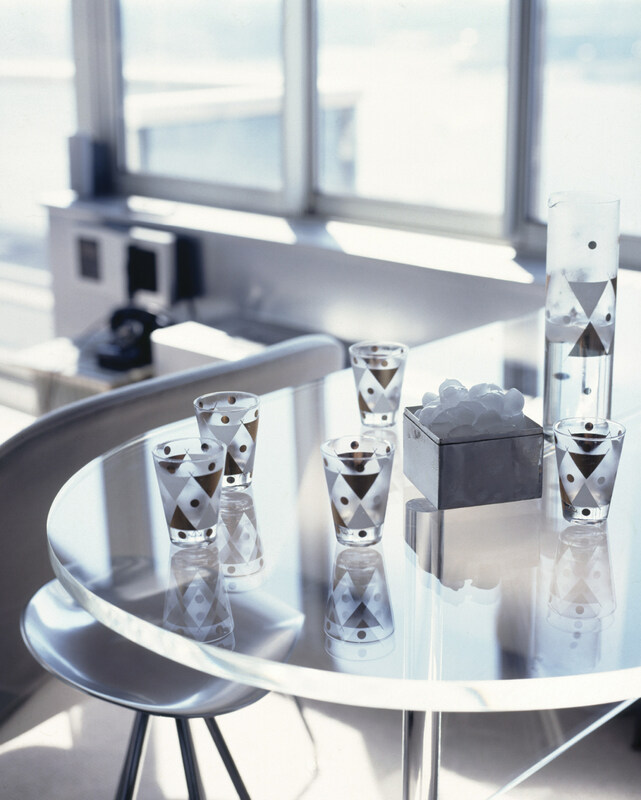 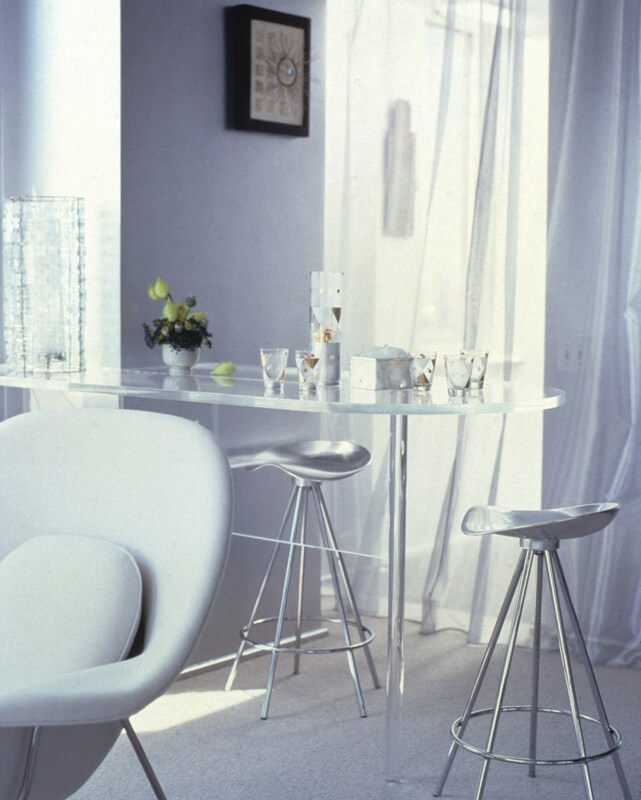 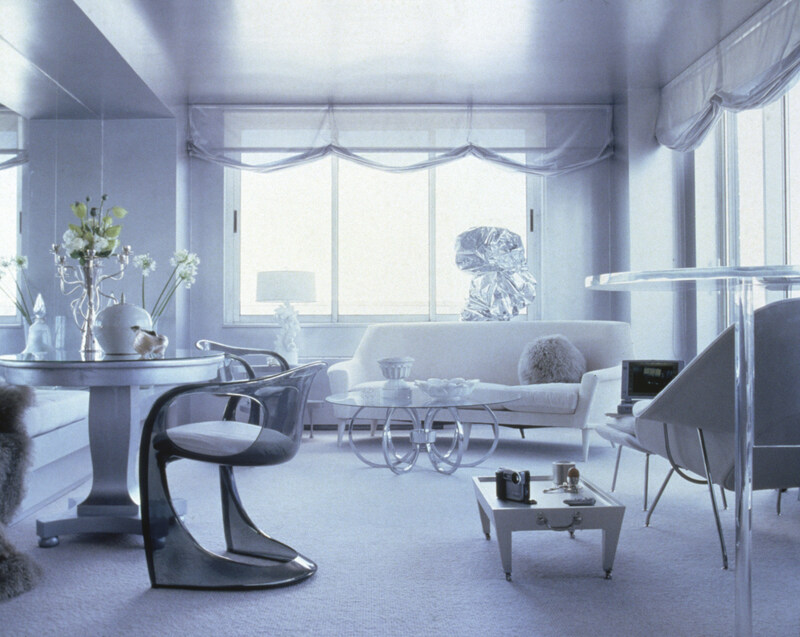 This apartment designed and executed for the celebration of the millennium made the cover of New York Magazine at the time because it exemplified what my views for interiors in this century would become: a collection of furniture and accessories from many periods all unified by a common color. 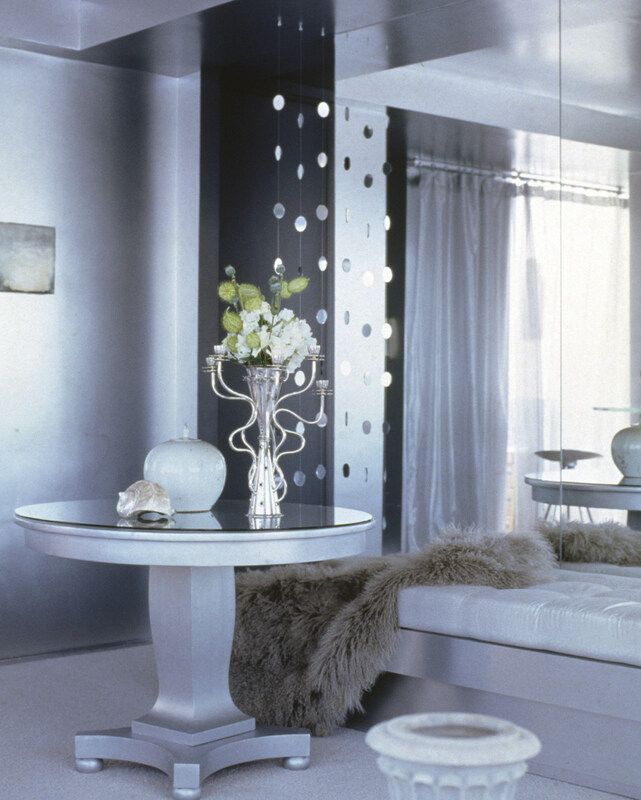 I selected a highly reflective silver paint for the walls and ceiling, matching all the fabrics and textures. 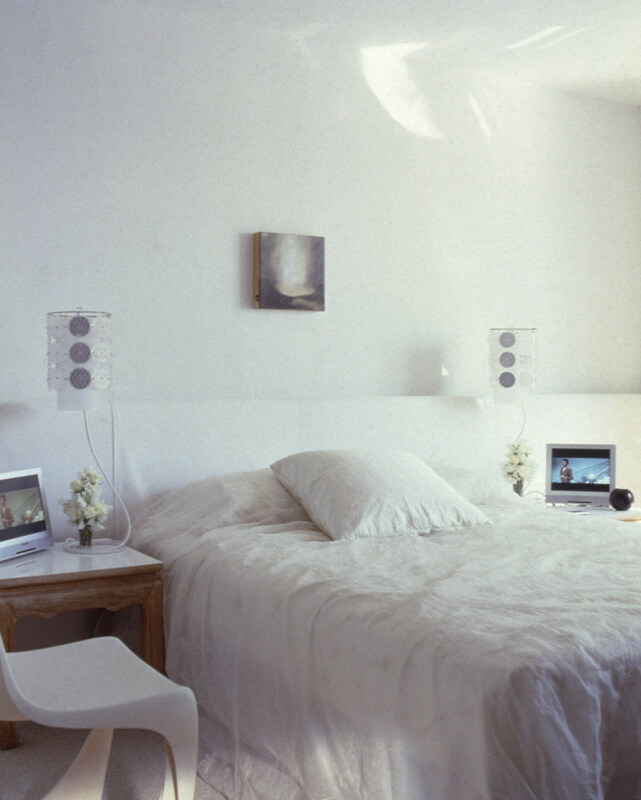 The result is what appears to be a “black and white” nostalgic set eliciting a calm and serene environment. 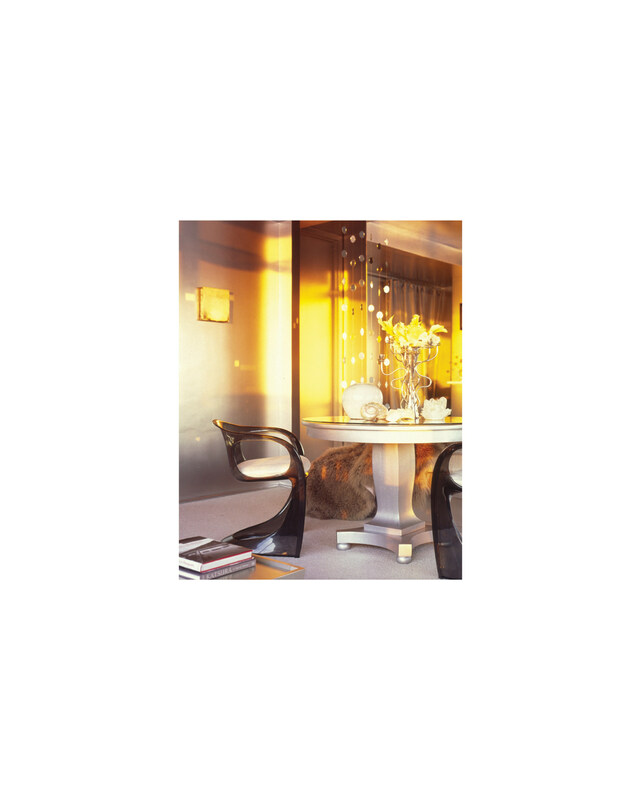 The entire apartment changed colors throughout the day, sometimes turning orange at sunset, and depending on the accessories the interior reflects the different seasons.